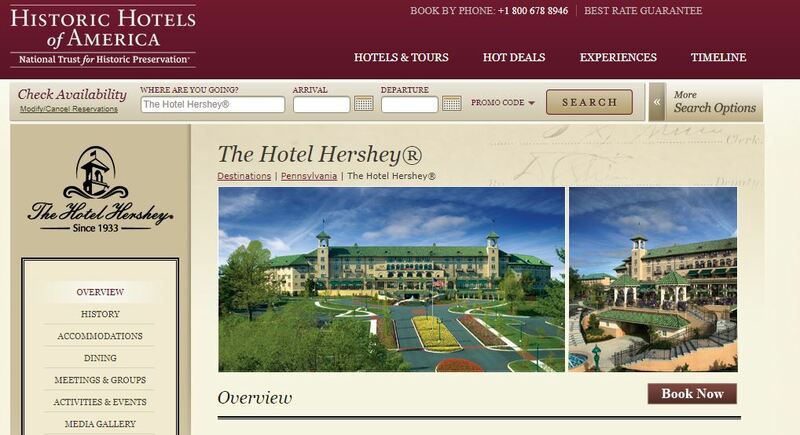 Hershey Entertainment & Resorts Company has just won another of its semi-frequent federal trademark infringement battles. This time, the victory has purged the name “Milton” from a Hershey-area hotel. And it came rather swiftly. The fight began in June when Hershey Entertainment filed suit in U.S. Middle District Court against Milestone Hotel Partners LLC, owners of what was then called The Milton Hotel at Route 422 and Sipe Avenue. Hershey Entertainment claimed Milestone had violated its trademarks by using the name of chocolate magnate Milton S. Hershey, who put Hershey on the map as a world-renowned tourist destination. “The Hershey marks and Milton S. Hershey’s name have tremendous drawing power, goodwill and value that (Hershey Entertainment) must protect,” the suit states. 20. The MILTON HERSHEY mark was first used by [Hershey], as the name of its largest suite at THE HOTEL HERSHEY, at least as early as September 1998, and has been in continuous use by [Hershey] since that date. Even if Milton were a mark, which he’s not, could Hershey prove either LIKELIHOOD OF CONFUSION or likelihood of dilution here? Well, MILTON HERSHEY — at best a common-law mark known across the nation as the name of a bed and a table — is not a candidate for dilution, lacking fame. And, well, MILTON HOTEL and MILTON HERSHEY both have “MILTON H___” plus room service. I don’t know. Maybe, maybe. How about that HOTEL HERSHEY mark? That doesn’t look or sound anything like “Hotel Milton.” The only way that works is if you follow the “Dead Hand of the Babe” logic of the TTAB. That’s the process by which the fame of one trademark, for dilution purposes, will be attributed to and permitted to enrich, inhabit and empower all related trademarks owned by the same (institutional) claimant. By virtue of the fame of HERSHEY, the association between that famous mark and old Uncle Milt would — whatever. That’s pretty much what the complaint is saying, after all. We’re Hershey, and anything that even smells like chocolate around here is ours. Milton Hershey died in 1945. So there’s no right of publicity claim in this right of publicity lawsuit posing as trademark infringement. because the applied-for mark is primarily geographically descriptive of the origin of applicant’s services . . . In this case, Hershey, Pennsylvania is a generally known geographic location. 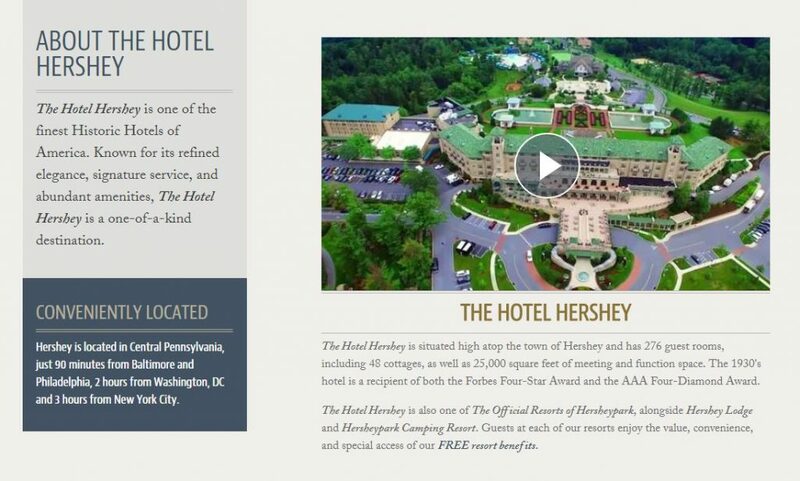 The addition of the descriptive or generic term HOTEL does not diminish the geographic significance of HERSHEY. Since the applicant (and the listed services) in fact originate in Hershey, Pennsylvania, a public association of those services with Hershey, PA is presumed. As such, the mark THE HOTEL HERSHEY is considered geographically descriptive in its entirety. The application record indicates that applicant has used its mark for a long time; therefore, applicant has the option to amend the application to assert a claim of acquired distinctiveness under Trademark Act Section 2(f) in part with respect to the term “HERSHEY.” See 15 U.S.C. §1052(f); TMEP §1212.05. Piece o’ chocolate! Though I must admit I was intrigued by this “1933” claim. Is Hershey’s really so farsighted — even Hershey’s? They opened up a branded resort hotel in western Pennsylvania in 1933? During the Depression? I know what you’re thinking — what are they doing using that big old ®? They didn’t get that registration yet! Silly. The Circle-R is for HERSHEY®! Were you confused? 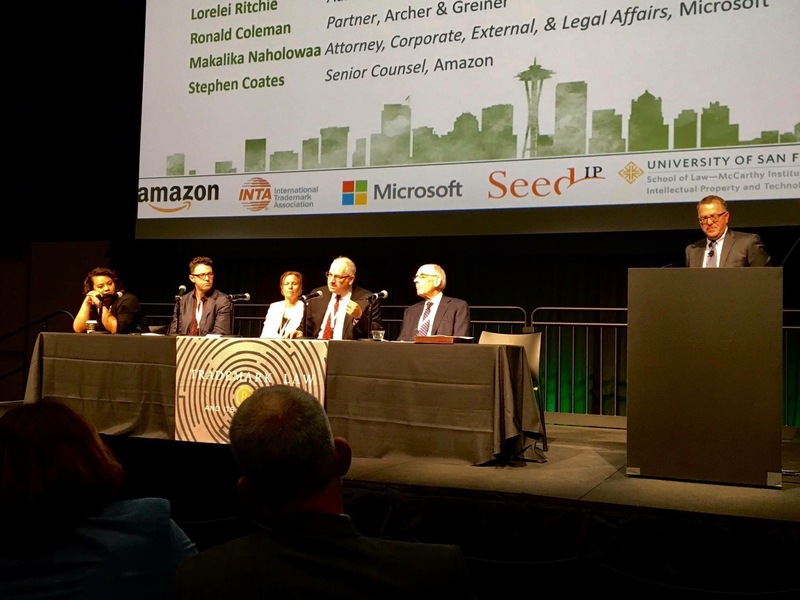 Old trademark lawyer trick. Sorry. Anyway yeah. And you know what? Milton did open that hotel and name it after his bad self in 1933! 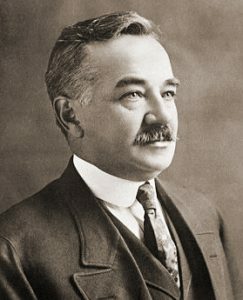 Having perfected his formula for milk chocolate and constructed the factory three decades earlier, Milton S. Hershey was presented with a dilemma during the Depression. Hershey was faced with the prospect of either employing his town’s construction workers or providing for their welfare. Strongly objected by his close friends and associates, who urged him to conserve his resources, and his mother, who said the idea was hopelessly extravagant, Hershey ultimately decided to fulfill a longtime dream of his and his wife, and build a hotel overlooking the town and his factory. Inspired by their travels, the Hershey’s originally dreamed of recreating the elaborate Heliopolis Hotel in Cairo, Egypt which boasts an extravagant red-tiled estate affording royal suites, marble stairways, and vibrant gardens and fountains. Hershey’s plan to build the grand Egyptian hotel was deterred when constrution costs were estimated to be over $5 million dollars. Hershey began developing a new vision for his hotel, giving his architect and chief engineer D. Paul Witmer a postcard of a hotel the Hersheys had enjoyed on the Mediterranean. In addition to the postcard, the Hershey’s used various notes of their travels to incorporate into the design of the new hotel, including Spanish patios, tiled floors, foundtains, and a dining room with stunning views from every table. Beginning in 1931, Witmer along with 800 steelworkers, masons, carpenters, and other craftsmen and laborers were instructed to create a 170-room hotel. The hotel was completed on May 23, 1933, which Hershey celebrated with a formal opening on May 26, 1933 with a dinner and dance for 400 guests. He put it to good use, too. So his corporate heirs will get their registration — for HOTEL HERSHEY. But not “Milton Hotel.” Because that ain’t Hershey’s trademark.